Ariana Grande is back with her brand new song titled No Tears Left to Cry. This track marks Ariana's big return to the music scene after taking a break on May 2017 following the Manchester bombing attack that happened during her Dangerous Woman Tour. It also serves as the lead single for Grande's upcoming fourth studio album. Before it was released, Ariana teased her fans with a photo of her wearing a sweatshirt that says "No Tears Left to Cry". Kim Kardashian, Ariana's best friend Elizabeth Gilles and other people were seen wearing the same sweatshirt. 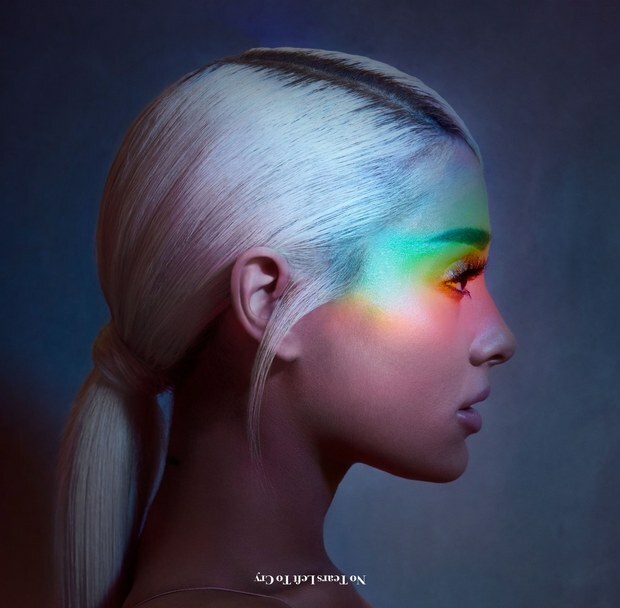 No Tears Left to Cry is an uplifting anthem with elements of disco pop music. On the intro where Grande sings, "Right now, I'm a state of mind/ I wanna be in like all the time", she is referencing to her relationship with her boyfriend Mac Miller and when Ariana says, "Ain't got no tears left to cry/ So I'm pickin' it up, pickin' it up/ I'm lovin', I'm livin', pickin' it up", there was a time where there were tears in the singer's life. From the passing of her grandfather in 2014 to the trauma she suffered from the Manchester bombing, all of this has had an effect on Ari and it just too much bear. She is tired of crying because she doesn't have enough energy for it. So, she has to take it upon herself to get up, move forward and live her life to the fullest. Along with song, the singer also released a surprise music video just for her fans. In the music video, Grande is living her entire world upside down. She is seen doing a lot of things like walking on the side of a tower and on top of the ceiling, falling from tower while singing and then sits on the floor while looking at seven versions of Ariana's face. There is also a tribute to Manchester when Ariana throws up a bumblebee in the remembrance of the lives lost. This video will completely mind-blowing. So, I really love No Tears Left to Cry and I would give it a 5/5. The music video was different from Grande's previous videos. I'm so happy that Ariana is releasing new music again. I can't wait to hear more from her in the coming months ahead.